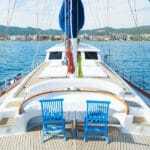 Dreaming about an Eastern Mediterranean sailing holiday is something many travelers do. It is a type of holiday style which offers plenty of freedom for R & R and discovery, without schedules. You can be where you want to be, do what you feel like doing and the time… even for one week, is yours, on your own private charter yacht. As there are many ways to design and plan a blue voyage holiday, there may be just as many yachts to choose from. 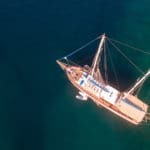 For the purpose of enjoying your sailing vacation in ultimate comfort and luxury, the Miss B yacht is surely one that is worth a consideration. Miss B yacht is a simple sailing boat, but with a lot of allure, just like her name, simple & allure! 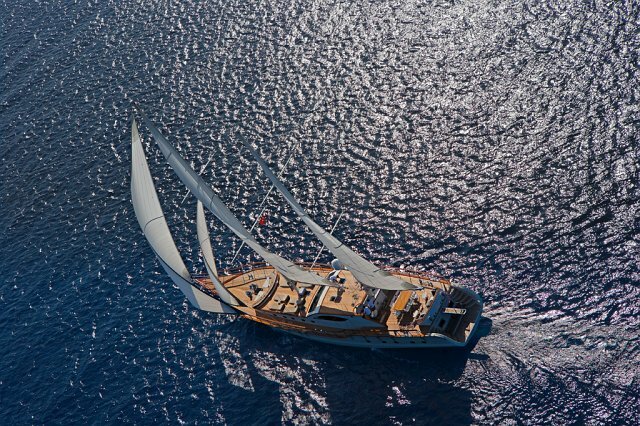 So have you ever dreamt of sailing in the Eastern Mediterranean on your own private yacht? Well, you could start from Bodrum with Miss B! Dubbed ‘ Turkeys St Tropez’ by the New York Times back in 2007, Bodrum is one of the most popular en loveliest region on Turkeys Aegean coast.The original name of Bodrum is Halicarnassus. So Bodrum boasts a wealth of history and the coastline is just breathtakingly beautiful! But this is something you have to experience yourself😊The best period to travel to Bodrum is May and September if you prefer more a mild climate. High season, June, July, and August can be very hot and very busy, but it is all up to you. Maybe you like the boosting energy of these months. 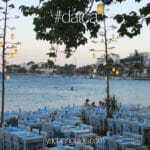 Also, the fact that Bodrum is close to the airport of Milas, makes it a very popular destination. 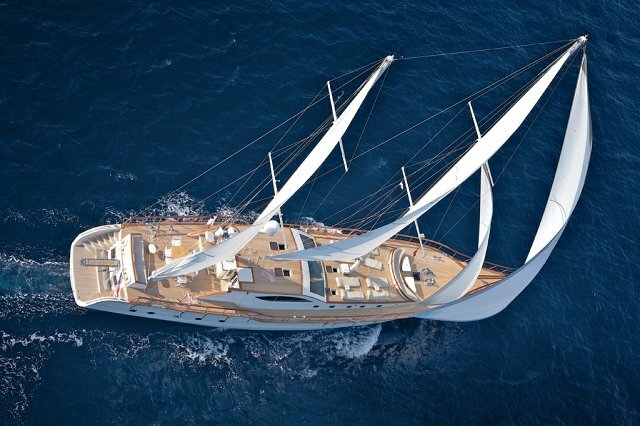 The Miss B sailing yacht is one of a kind. Such like her name, she is simple yet elegant offering the most of luxury travel at sea expected from a yacht in her class. Is the Miss B VIP? Certainly. There are many levels of VIP – and she happens to be one of them. 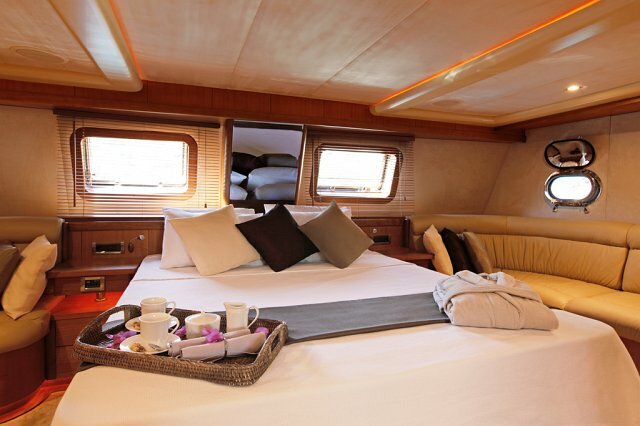 From the highly qualified and professional crew of 4, the Miss B sailing yacht charter provides top level accommodation comprising of 4 luxurious cabins fully equipped with air conditioning, spacious en suites, at a reasonable charter rate. Ideal for families, there is 1 master, 2 double and 1 twin cabin to choose from. Guests can enjoy alfresco dining on the aft deck. Steps from the aft will lead to a well thought of swimming platform for easy access to a refreshing time in the warm waters of the Mediterranean. 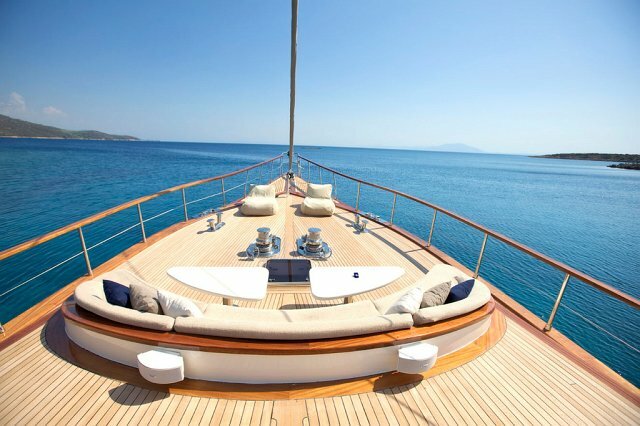 The forward deck provides spacious sunning area with wide cushions and a crescent shaped seating area ideal for cocktails while enjoying the impressive surroundings. 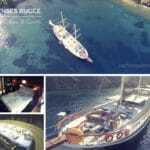 Why not delight you and your guests with an amazing experience on a unique and blissful private Turkish yacht charter in Mediterranean. Miss B yacht is a simple sailing yacht, but with a lot of allure, just like her name, simple & allure! 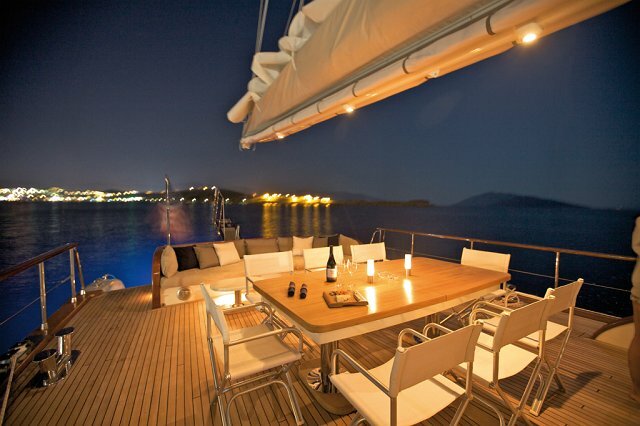 So have you ever dreamt of sailing in the Eastern Mediterranean on your own private yacht?